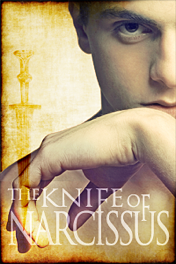 It’s the release day for the Knife of Narcissus omnibus! Come for a visit every day next week for some free stories, more chapters from upcoming books, more ancient recipes, and general Saturnalia hijinks. There may very well be gladiators—it could happen! I won’t rule out gladiators. After such a long time living every moment with the serial, I have all sorts of feels about putting it out there now as an all-in-one version. A fellow author asked me a few questions about the process (and I’ll be talking about her books next week too—great ones for Romanophiles, and contemporary stories also). Now that I’ve had time to reflect soberly, drunkenly, and under the influence of very sweet and highly caffeinated beverages, I have a few thoughts to share about it all here, too. But mostly, December is a great excuse to experiment with a lot more Roman recipes and to share the results!